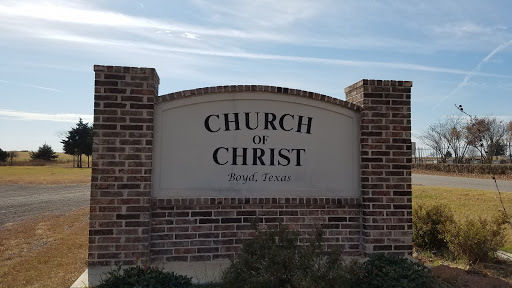 We at the Boyd Church of Christ would like to invite you to visit our congregation in Boyd, Texas! Here, you will find a group of people with their arms outstretched to greet you and your family. We have a growing youth group and faithful congregation of loving Christians that will do everything they can to help you feel welcomed or to help you find your way! *On the second Sunday of each month, we hold a fellowship meal with a devotional immediately followng, and hold no evening service.